Robometricschool. - This is one information update for you who want to know more about the developing of Solar Panel in this time. This article titled with This U.S. City Now Requires Solar Panels on all New Homes that written by Tom Ward and published in Futurism site. 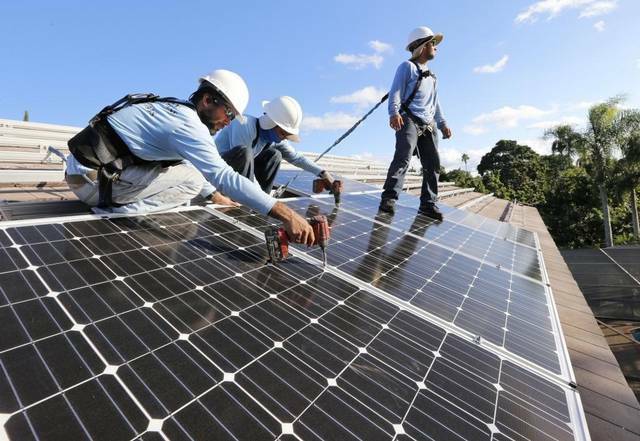 From mid-September onward, solar panels will be mandatory for new homes in South Miami, Florida. The law — which was passed with a four-to-one majority — states that builders must install 16 m² (175 ft²) of solar panel per 93 m² (1000 ft²) of sunlit roof area, or one panel with a 2.75 kilowatt capacity per 93 m² (1000 ft²) of living space; the rule also extends to some renovations. The changes are affirmations that South Miami is marching towards a clean energy future, despite the topic causing friction due to the bent of its Republican leadership, complex deals with fossil fuel-based utilities companies, and numerous battles between citizens and energy suppliers concerning whether independent sellers can compete with energy suppliers. South Miami approved legislation that any new residential building project must have a solar energy aspect. This is a major advancement in a state that has a long and complex history with renewable energy. And now you can read more about the article titled This U.S. City Now Requires Solar Panels on all New Homes by Tom Ward, from original source HERE.